There IS an alternative when heating your home! 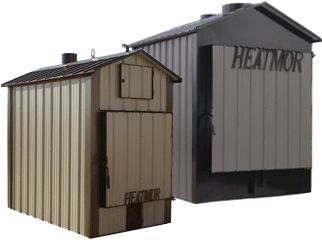 In 1984, Gerry Reed, President of HEATMOR™ made a commitment to build the best performing and longest lasting outdoor furnace on the market. In 1990, he began constructing HEATMOR™ furnaces with heavy gauge 409 stainless steel, the most corrosion resistant, durable material that could also be easily molded into an efficient and cost effective design. According to a Dec. 12 article in "Today in Energy" a section of www.eia.gov, during the week ending Nov. 1, the U.S. consumed nearly 1.8 million barrels of propane per day, a figure typically not seen until January or Feburary. 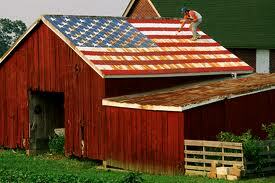 This demand caused inventories in the Midwest to fall to their lowest level for November since 1996. 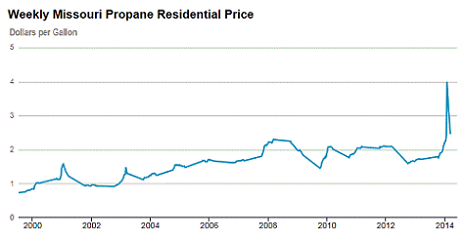 "This boost in propane demand has created a spike in propane prices across the country" the article states. "The winter heating season is just beginning to affect consumption figures, so propane demand for the 2013-14 season could continue at a record pace into the spring.